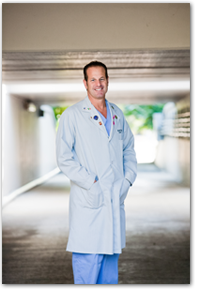 Dr. Mitchell Jackson is a board-certified ophthalmologist specializing in cataract and refractive surgery. He received his medical degree from Chicago Medical School, completed his internship at Columbus Hospital and his Ophthalmology residency at University of Chicago Hospitals. Currently, Dr. Jackson is the Founder/Medical Director of Jacksoneye and is also a clinical assistant at the University of Chicago Hospitals. Dr. Jackson has extensive experience in laser vision correction, performing over 30,000 LASIK procedures since its FDA approval for use in 1995. Confident in laser vision correction, Dr. Jackson experienced the LASIK procedure as a patient in May 2000 and is able to explain the procedure from a patient’s perspective. Dr. Jackson is involved in many phase 2, 3 and 4 FDA clinical trials such as the the surachoroidal stent for glaucoma treatment at the time of cataract surgery, the One-Piece Tecnis Multifocal Lens Implant, collagen cross-linking for keratoconus and post-Lasik ectasia, and Dry Eye Treatments including the Tear Science device for lid margin disease. He is also the Medical Monitor on various other ophthalmic studies such as intracameral pharmaceuticals in cataract surgery, and serves as the US Ambassador for the Laser ACE procedure for presbyopia being performed internationally. Additionally, under Dr. Jackson’s professional eye, Jacksoneye has set multiple standards for ophthalmology in the greater Chicago area, having been the first clinic in Lake County and Wisconsin to offer LipiFlow™, an advanced Dry Eye Syndrome treatment, as well as being the first clinic in the Midwest to offer Avellino Labs’ DNA Dual Test for LASIK Candidacy. Patient co-management between Optometrists and Ophthalmologists is customary to provide the best in eye health care for our patients. We work as a team and remain in close communications with your primary eyecare physician regarding recommended procedures and treatment. For more information on our participating optometrists, click here to find one of our co-managing physicians near you.